First, I am not aware that there is any case in court, challenging the validity of the election of Mr. Paul Usoro, SAN, as the NBA President. Second, the mere fact that Steve Sun failed or refused to recognize Mr Usoro as the NBA President did not adversely affect the fact that in law and in fact, Paul Usoro became the NBA President on August 30, 2018 and so remains. Refusal or failure by one to accept the truth does not detract from the reality or truthfulness of the truth. As Flannery O’Connor put it, “the truth does not change according to our ability to stomach it.” This notwithstanding, it is interesting that Mr Steve Sun did not wait for the conclusion of the court case he referred to, before deciding to acknowledge the current leadership of the NBA. By writing to criticise a certain action taken by the NBA leadership under Paul Usoro (SAN) on grounds that the said action is “ultra vires,” Mr Steve Sun has accepted that (a) a leadership subsists, (b) the leadership has taken some action, (c) but that the leadership has “exceeded: its authority. Thank you, dear Steve Sun. The 2018 elections have come and gone. It is time to face the present and forget the past. I enjoin you to join hands with Mr. Usoro and his team in order to lift NBA to greater heights. Meanwhile, I humbly believe Steve Sun, without knowing it, is already one of the strongest supporters of the Paul Usoro leadership. Criticism may sometimes not be agreeable, but it is necessary. It fulfills the same function as pain in the human body. It calls attention to seeming flaws and puts leaders on their toes. Steve Sun, having accepted the current leadership of the NBA, has made himself a strong critic and therefore, in my mind a strong supporter and helper, indirectly. Criticism helps to make leaders better and helps them to achieve more. And, I think, any leader that detests criticism is headed for the Golgotha. However, there is need to respectfully call Steve Sun’s attention to Abraham Lincoln’s counsel: he who feels he has a right to criticize must also feel himself obliged to help and support. Criticisms ought to be constructive and also accompanied by altruistic recommendations and dispassionate suggestions. Besides, says Elvis Presley: “Don’t criticize what you don’t understand, son. You never walked in that man’s shoes.” Diligent background research and honest efforts at discovering the truth (in fact and in law) ought to precede any constructive, well-meant critique. We must refrain from criticizing just for the sake of getting noticed, for the mere fun of it or to massage our ego! “it is a pity that your rejoinder came at a time when i had already retired from activism Assuming I wasn’t retired, i can assure you that i would mount pressure on the General-Secretary and other Bar elders & leaders to follow up on the request for clarifications. And if they turn a blind eye to it, i would’ve proceeded with a Freedom of Information action to compel the CLE-NLS to make a full disclosure of all the facts surrounding the exams and the results…. But like i said, i have retired from activism.”(see https://www.lawyard.ng/steve-sun-replies-sylvester-udemezue-insists-nba-must-seek-clarification-on-nls-law-school-results/, accessed 21 February 2019). Judging from the above, one would ordinarily have thought that Steve Sun would never write or respond to any article or publication again, especially as he saw ‘activism’ as consisting only in writing and so responding. Alas! Here we are, Steve Sun had continued with “activism” ever since then, at least at the level of NBA and in criticising every action taken by the NBA, however well-meaning. So, I say to Steve Sun, welcome back to activism, Sir. But, you have not told the world what had led to your sudden “resignation” from “activism.” Could it be that you just did not wish to respond to the issues raised in my article then? Or that you actually had no plausible reply to them? Or, simply that you are what I prefer to call a “convenient activist,” playing the ‘activist’ when you think it is convenient for you (or suits your personal interests) and looking the other way when it is not? Anyway, this is by the way. I leave the sleeping do to lie; a hatchet that is no longer useful in the farm ought to be buried and forgotten. 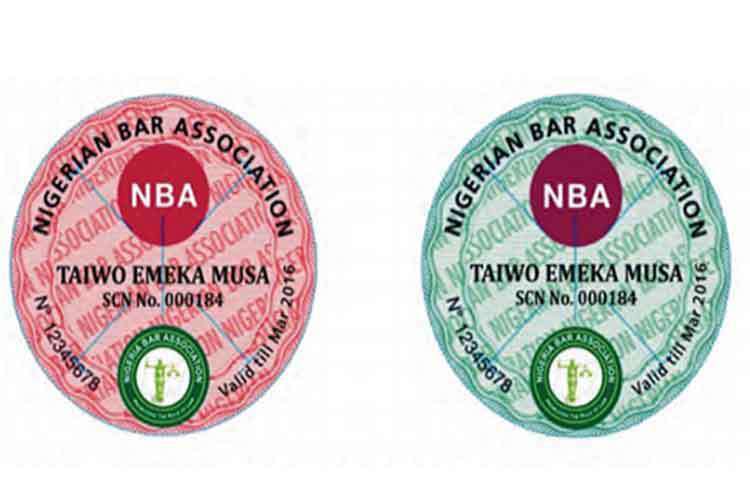 I am an NBA Member: As a Legal Practitioner, a Barrister & Solicitor of the Supreme Court of Nigeria, duly admitted to the Nigerian Bar, I am a bona fide member of the NBA; membership of the NBA is automatic upon one being called to the Bar. Steve Sun knows this. 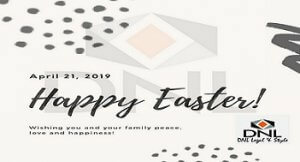 Further, I am an active, financial member of the NBA, having paid my Bar Practicing Fees annually and for as long as I have been a lawyer in Nigeria, and having been paying my NBA Branch dues annually. The Christian Bible says, “Wherever your treasure is, there the desires of your heart will also be. Therefore, whatever affects NBA affects me as an NBA member. Furthermore, charity begins at home. NBA is my home, my primary constituency. I got qualified to become a Lecturer only because I am a Lawyer in Nigeria. If I were not a member of the prestigious Nigerian Bar, I would not have become eligible to be considered for any employment as a Law Lecturer in Nigeria. Meanwhile, while I remain a dyed-in-the-wool Law Teacher, and doing my teaching job with transparent honesty, unswerving diligence, unwavering loyalty and unbridled satisfaction, under the personal motto: “hustle, loyalty and respect,” I nevertheless continue to exercise my interest and rights in NBA concerns and generally on/in legal and law affairs in Nigeria and beyond. Having said this, I hope Steve Sun can now appreciate why I am here, again, to reply him on his latest ‘activist’ vituperative bombardment against the NBA on the newly introduced online payment portal for Bar Practicing Fee, to which I now turn my attention. NBA lacks jurisdiction to set up an online portal for collection of bar practicing fees (BPF) and not even the consent of the Chief Registrar of the Supreme Court can confer such jurisdiction which NBA does not have in the first place. BPF (Bar Practicing Fee) is payable to the Supreme Court (SC), and not to the NBA. Hence, NBA has no powers to set up a platform for the SC for collecting the BPF. NBA must swallow its pride and retrace its steps forthwith; things do not always have to be resolved by litigation; especially things that are commonsensical. Further, the NBA should consult its Legal Adviser for his legal advice on this. 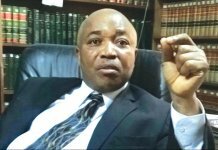 (See http://www.barristerng.com/a-non-statutory-entity-like-the-nba-cannot-carry-out-the-statutory-duties-of-another-entity-steve-sun-replies-nba/, accessed 21 February 2019). I would address the points chronologically, starting with the first. Steve Sun’s statement was published to the whole world, and therefore was deemed to have been read by all. That is the position of the law. In ALFRED v. PETERSIDE, unreported suit No: PHC/271/2000 (judgment delivered on 19/05/2004), Hon Justice C.I. Uriri of the Rivers State High Court had held that “gazette publication is strictu sensu notice to the world at large…. It is of no moment that the plaintiffs are ignorant of the publication. The plaintiffs are therefore imputed with a knowledge both actual and constructive of the acquisition.” Accordingly, while circulating its rebuttal to Steve Sun’s, NBA was not obliged to also circulate Steve Sun’s article, which was already in the public domain, having earlier been published to the world at large. Therefore, with due respect, it is inappropriate and spiteful for Steve Sun to have referred to NBA as being “unprofessional” in its conduct in this respect. There is no doubt that the Bar Practicing Fees (BPF) are payable to the Registrar of the Supreme Court in line with section 8(2) of the Legal Practitioners Act, Cap L11, LFN, 2004. However, Steve Sun failed to advert his mind to section 8 (3) (c) of the same Act which mandates the same Registrar to pay to the Nigerian Bar Association (NBA) “as soon as maybe after the end of each year a sum equal to nine-tenths of the aggregate amount of the Bar Practicing Fees received by him in pursuance of this section during the year.” It is therefore clear that NBA is not an outsider to matters relating to BPF because the NBA is the owner of 90 per cent of the entire BPF collected for each year. It is hence very wrong, as Steve Sun has argued, to suggest that NBA has no locus in matters relating to payment of the BPF. The right thing to have said in view of the provisions of extant law on the subject is that the BPF is paid to the NBA, through the Registrar of the Supreme Court. This is apart from the fact that provisions of the Legal Practitioners Act relating to BPF reserve a role for NBA as I have shown below. Section 10 (1) (d) of Cap L11 provides that The Body of Benchers shall be responsible for prescribing/fixing the BPF to be paid by Legal Practitioners, “after consultation with the NBA.” Although Cap L11 has transferred to the Body of Benchers (BOB) the power to fix BPF in consultation with the NBA, the current position, under the Legal Practitioners (Amendment) Act No 31, 1999 is that the Hon Attorney-General of the Federation (AGF) does fix the BPF still in consultation with the NBA, a clear indication that the NBA is an integral part of the decision-making process as it relates to prescription and imposition of the BPF. How, then, can someone say that NBA has no jurisdiction or has acted “ultra vires” in matters relating to collection of the BPF? Creation of an online portal does not alter nor violate the provisions requiring the BPF to be paid to the Registrar of the Supreme Court. As explained by Mr Kunle Edun, NBA’s Publicity Secretary, whether paid through the NBA Online Payment Portal or by visiting the Bank Branches, the BPF still go straight into the same Access Bank Account Number 0000976716 whose Account Holder is “Supreme Court of Nigeria, Abuja (BPF). It would have been a different thing if the NBA had opened or introduced another bank account in its own name, for collection of the BPF. Mr Edun had further explained that the manual payment method of paying BPF had not been scrapped; that it would co-exist (side-by-side) with the online payment system, in order to offer lawyers two alternative options of paying the BPF, into the same account. Both payment methods therefore remain legitimate and legally competent. It is like a person who buys petrol at a petrol station; he has the option of paying in cash or of using the POS to pay for the fuel or of even making an online transfer of the consideration. Either way, he has paid. I therefore do not see how NBA’s online portal has adversely affected the rights or powers of the Registrar of the Supreme Court under Cap L11. 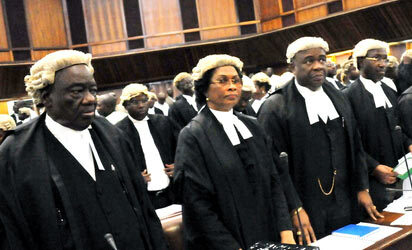 Besides, the Supreme Court and the AGF are said to be well aware of the development. Permit me to ask, as Steve Sun is questioning the powers of the NBA to create the online payment portal, why is he not also questioning Access Bank of Nigeria Plc’s powers to be the collecting Bank for this purpose? Or, is the Access Bank a property or branch or section of the office of the Registrar of the Supreme Court? 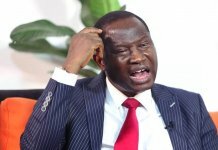 Why is Steve Sun not advocating that all and each Nigerian lawyer should be left to personally travel to the Supreme Court of Nigeria in Abuja and pay the BPF direct, in cash, to the Registrar? This exposes the blandness, unimaginativeness and unrepresentativeness of Steve Sun’s groundless arguments as a convenient ‘activist.’ With due respect to him! The jus tertii connection: Jus tertii (Latin, “third party rights”) is the legal classification for an argument made by a third party (as opposed to the legal title holder) which attempts to justify entitlement to possessory rights based on the showing of legal title in another person. By showing legitimate title in another person, jus tertii arguments imply that the present possessor’s interest is illegitimate or that the present possessor is a thief (see Wikipedia.com, accessed 21 February 2019). Steve Sun’s deluge of legal inundation, as published on 21 February 2019, is clearly caught up in the midst of jus tertii. The whole gamut of Steve Sun’s argument is that NBA has violated the rights of the Registrar Supreme Court (RSC), that the NBA has usurped the powers of the Registrar of Supreme Court (RSC), and that the NBA has encroached upon the exclusively preserved horizon of the RSC. 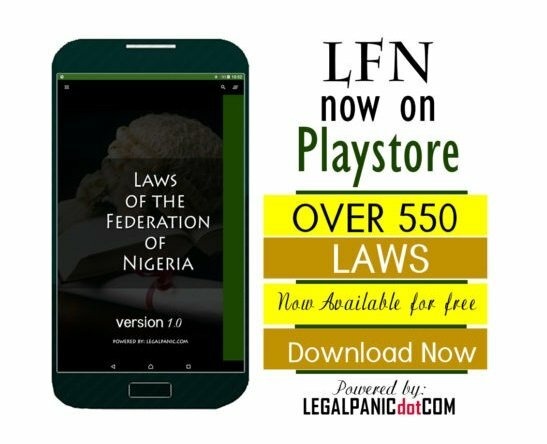 ALSO READ The Judiciary and United Nations Office on Drugs and Crime's (UNODC) Verdict - Evans Ufeli Esq. The Evidence Act (2011) in sections 89 (h) and 90 (1) (e) has made copious provisions on procedure for proving banking transactions, and in the event of any dispute those provisions would be the relevant and applicable provisions, and not section 102 of the Evidence Act which merely defines a public and has nothing whatsoever to do with admissibility of or evidential value/weight to be ascribed to a public document. Furthermore, 102 Evidence Act has nothing, absolutely nothing, to do with legal validity, competence of the NBA’s online portal for BPF payment. Why then did Steve Sun make a heavy weather out of the said section? Anyway, Steve Sun’s argument is misplaced and therefore irredeemably wrong, being a case of one making a mountain out of a mere molehill! Little wonder then that NBA described his arguments as mere erroneous assumptions having no legal foundations! One can now find it easy to see that the foundation upon which Steve Sun’s argument rests is faulty, leaving Steve Sun’s claims, contentions and submissions reverberating in concavity and nihility. 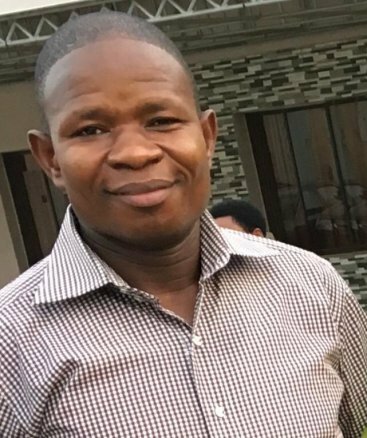 I therefore respectfully urge all Nigerian lawyers to please disregard Steve Sun’s unjustified and unjustifiable misadventure into meddlesomeness and proceed to make use of the ground-breaking online platform provided for making BPF payment seamless and more stress-free. Introduction of platforms such as the NBA online portal, ought to be applauded by all, especially in view of the prevailing global realities and international best practices which recognize a world that is moving fast away from clumsy papers and hard copies to a paperless society where data is stored and securely stashed away online — a place where no rat or fire or other man-made or natural disasters can affect them.